Potato cakes are a perfect way to use up left-over mashed potatoes. Known as tattie scones in Scotland, potato scones in the Isle of Man, or fadge in parts of Northern Ireland, these savory, fried potato patties make a great side dish. Whenever I cook mashed potatoes I make extra, because I love potato cakes. However, a word of warning. If you like your mashed potatoes really ‘soupy’ and add lots of extra milk and butter, it will be very hard to form potato cakes without adding cups of extra flour. They lose their distinctive flavor when too much flour is added. I find store-bought mashed potatoes don’t work too well for this recipe. They are laden with extra milk and butter. Also, American potatoes tend to be a little more watery than the Irish variety. In Ireland we love starchy, ‘floury’ potatoes. We often refer to potatoes as balls of flour. So the moral of the story is don’t make your mashed potatoes too loose if you plan to make potato cakes. Add the mashed potatoes to a large mixing bowl. I like to take the potatoes out of the fridge about 30 minutes before making these cakes, since when they are really cold I find it harder to form the dough. 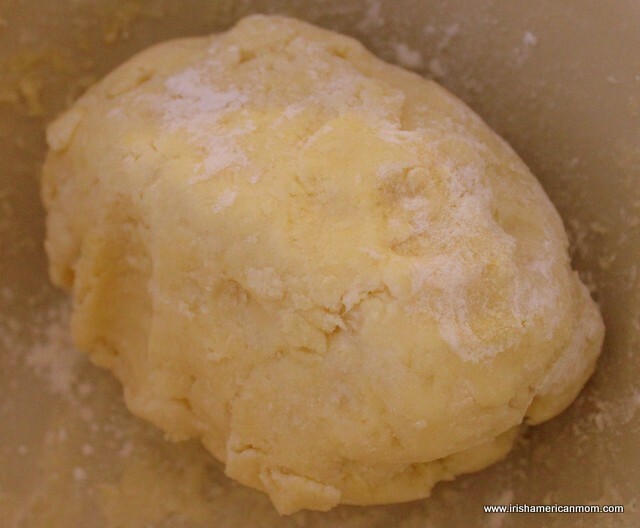 Add 1/4 cup of the flour, reserving the rest of the flour for kneading the dough. But I just like the subtle hint of flavor it adds. Feel free to add pepper. I sometimes use white pepper since I just don’t like to see black flecks of pepper in my cakes. Usually I make them pepper free. You can season these cakes anyway you choose. I sometimes add curry powder, or chives. The possibilities are endless. Today I thought it best to share my basic recipe, but feel free to experiment with the flavor. 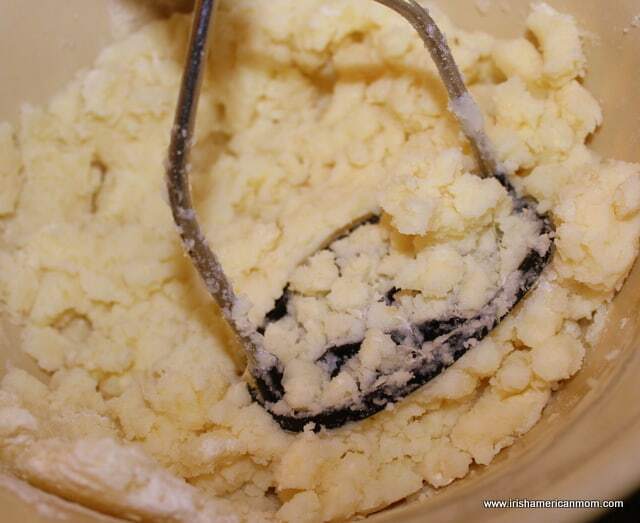 Next I take out my trusted potato masher and use it to combine the flour and seasonings throughout the mash. 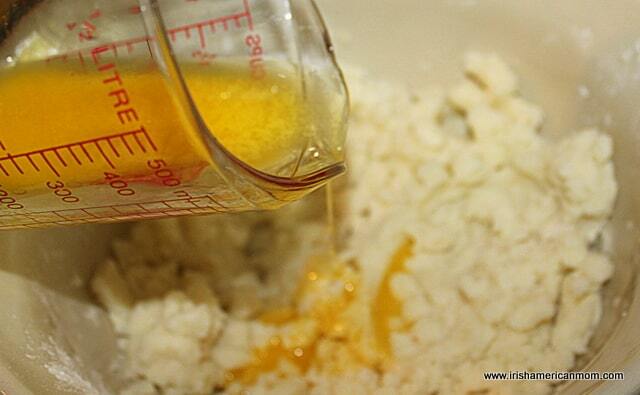 Add 1 ounce of melted butter, and half of a beaten egg. The amount of liquid needed varies depending upon the original consistency of the mashed potatoes you are using. A typical Scottish tattie scone recipe does not call for egg, using only melted butter to bind the ingredients together. However, I like to use just a little egg. I find the dough is easier to work when I do this. Use your hand to form a dough ball. Add extra flour as needed. Turn the dough out onto a floured rolling surface. I sprinkle the second 1/4 cup of flour for the kneading process. 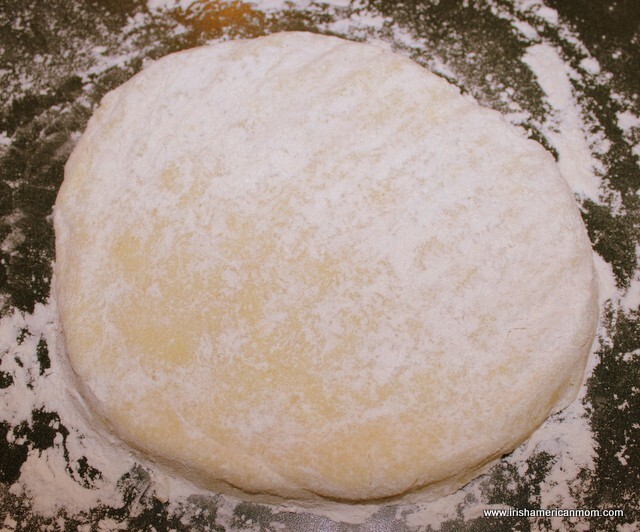 Knead the dough gently and press it out into a circular shape about 1/2 inch thick. You might want to use a rolling pin, but I find this dough very easy to work and just press it flat with the palm of my hand. Next I use a scone cutter to shape my patties. Alternatively you can just cut the big circle into 8 triangular pieces, by first halving it, then quartering it, and then cutting each quarter in half. But I just like these little circular patties – probably because that’s the way my mom made potato cakes. 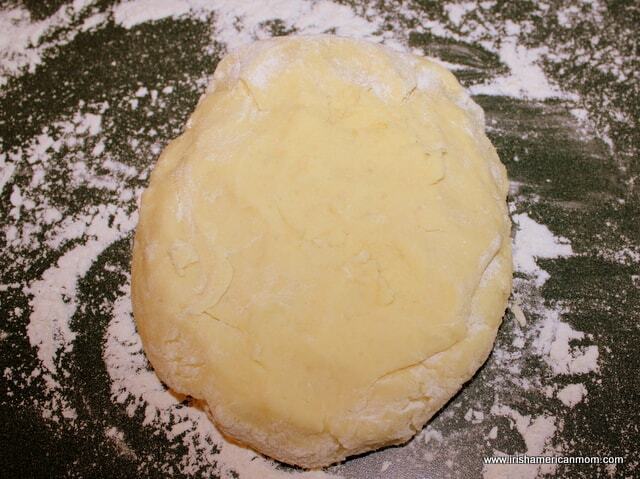 Reknead the dough remnants and rework into a flat circular shape to cut out more rounds. This recipe yields between 8 and 10 cakes depending upon how thickly form them. Next melt the butter in the bottom of a large skillet. I like to use my cast iron skillet. I think the cakes brown more evenly in it. 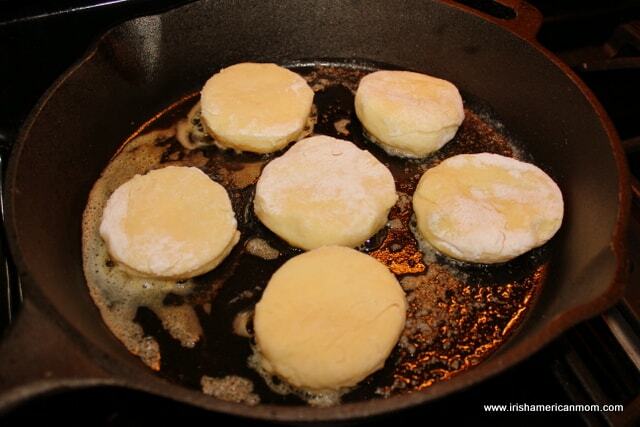 Add 5 to 6 potato cakes to the pan, spacing them about 1 inch apart. Don’t try to fry them all at once by crowding the pan. Reduce the heat to medium low. Fry them for 8 to 10 minutes on each side. It is best to cook them slowly over gentle heat. Otherwise the outside crust will burn before the flour in the center has fully cooked. A taste of raw flour can ruin this recipe very easily. Peak under a cake by lifting it with a spatula to see if it is ready to flip. Once they have a lovely golden brown outer crust, turn them and cook on the other side for an additional 8 to 10 minutes. Serve potato cakes hot for lunch, as a side for chops, salmon or ham. The possibilities are endless. In Ireland they are often served for breakfast as part of a traditional Irish fry, with bacon, sausages, eggs, mushrooms and fried tomatoes. Potato cakes are a perfect way to use up leftover mashed potatoes. Seasoned, fried potato patties are very popular in Ireland where they are also called fadge, and in Scotland where they are known as tatty scones. Step 1 Add the mashed potatoes to a large mixing bowl. 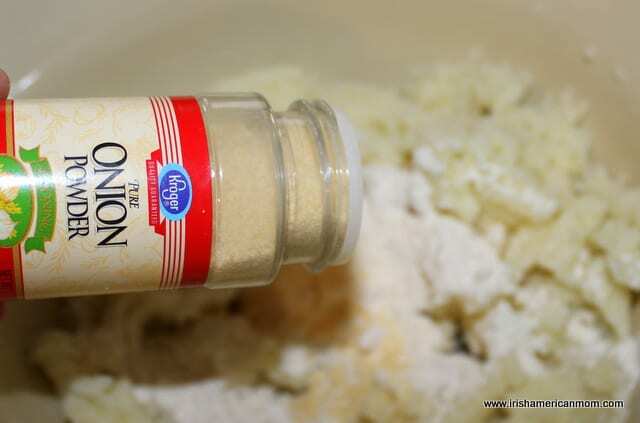 Step 2 Add 1/4 cup of the flour, the onion powder and salt. Mash together. Step 3 Add one ounce of melted butter and half of a beaten egg. Mix together to form a dough. Add additional flour as necessary. Step 4 Transfer the potato dough onto a floured surface. Knead lightly and flatten into a circle between 1/2 inch high. 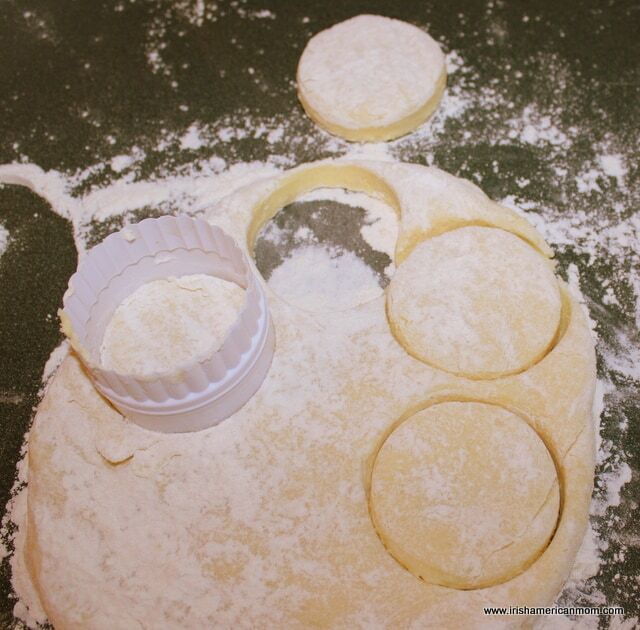 Step 5 Use a round cookie or scone cutter to cut out potato cakes. Re-knead the dough remnants to cut out more circular potato cakes. 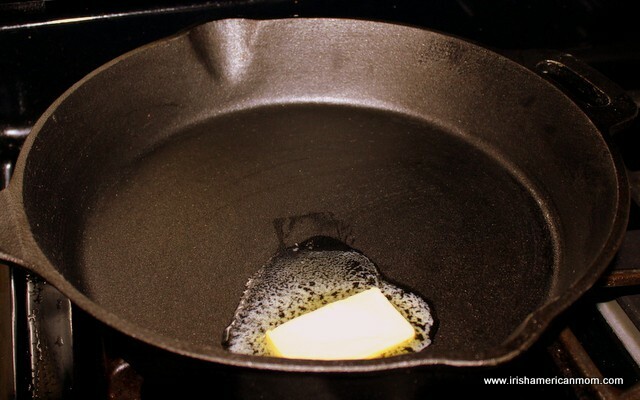 Step 6 Melt 1 ounce of butter in a large skillet. Add the potato cakes. Fry on medium-low heat for 8 to 10 minutes on each side, until they are a golden brown color. Step 7 Serve immediately as a side dish for grilled fish, pork chops or any main course of choice. 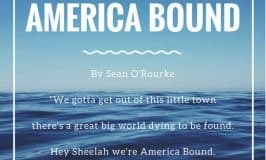 I hope you all enjoy this little taste of Ireland and Scotland. Here are some Cheesy Irish Potato Cakes I made for Halloween. They do make a great side and are a wonderful way to use leftover mashed potatoes! Your cakes look perfect and bet they taste as good! 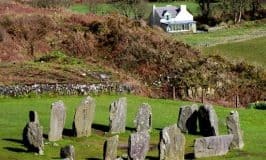 Enjoyed your blog, I too am Irish(co leitrim) but living in UK and an English mummy!! Am now starving having read through how to do the potato cakes, Im off to raid my fridge!! Hi Laura – I am so glad you found my website. 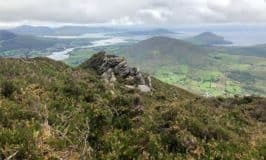 Although you are in England and I am in Ireland, we probably have a lot in common, with shared experiences living away from home. It is early morning here, and after reading your comment, I got to thinking how lovely potato cakes would be for breakfast. I’ll have to see if I have any leftover mash in the fridge too. Take care, and thanks again for stopping by. Ahh, one of my favorite Irish foods. Looking very tasty, Mairead! Thanks Elizabeth. They’re just simple and delicious. I just showed this to my wife and her face lit up! Can’t wait to try them Mairead. Grady – I hope you enjoy them. Mashed potatoes and potato cakes are pretty much staples in our house. any ideas on how i might make them ? Martin – Your mother’s potato cakes sound lovely. To make them you would have to pre-cook the mince. I would heat some oil, add minced garlic and onion, fry them up a little then add some mince. Fully cook the mince. Then add it to the mashed potato mixture for the potato cakes. I’ve never made potato cakes like this, but this is my best guess on how to do it. I hope this helps. Me too, Chris. We love potato cakes in our house. Have you tried the trick where you peal the spuds then cut them into 1/4’s then boil them just to the point where the sharp edge on the 1/4 begins to go into mush in the water. Drain at that point. The outside will be cooked but their own heat will cook them the rest of the way. It’s at this point that you decide the amount you are going to make into cake. For you don’t mash them you allow them to finish cooking in the 1/4’s as they vapour will dry them out more than if you mash them at that point. Later, when you want them, crush them into that ring having salted and peppered them. To cook wipe a bit of oil on a pan/skillet with a bit of kitchen paper. You don’t want to wet them. But frankly it’s far far easier to throw the switch on the DFF. Vince – I’ve never tried this tip for cooking potatoes for mash. Sounds like a great way to get good, floury potatoes. My mother cooks her spuds until just before they are done, then drains them and puts a towel under the lid, so the steam will finish cooking them. I’m going to have to try your tip. Sure – I’ll take care of that a little later today, once the kids are tucked up in bed and peace returns to the house. Thanks for the recommendation and for letting me know about your wonderful site. MMMMM…these look so good. Really, really good!!! If I use rice flour, I could make them gluten free! Kay – Rice flour or chick pea flour would probably work just fine to make these gluten free. They don’t need a lot of flour to bind the mashed potato together. Potato flavor is what predominates. As always, thanks so much for checking out my recipes. A teaspoon of the dried potato might work also. It’s a dry binding agent you’re looking for really. The flour provides nothing other that the strands of gluten. I doubt the chickpea would work for any time I made Hummus the consistency was that of jam. Thick jam granted, but jam nonetheless. Vince – A little dried potato is a great idea – I never thought of that. Thanks again for another brilliant tip. 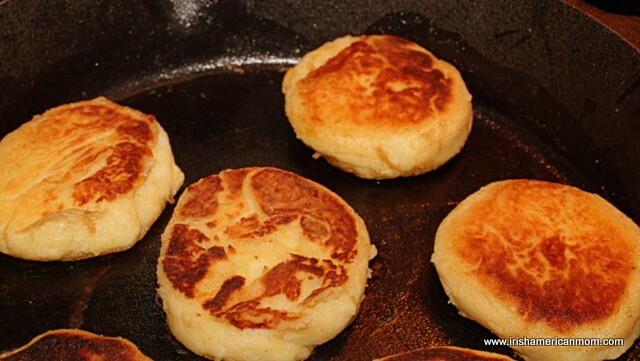 Norma – These potato cakes are different from potato pancakes. This recipe calls for cooked mashed potatoes, but Irish potato pancakes, also known as boxty, call for mashed potato and grated raw potato with buttermilk. Here is the link for my recipe for boxty. This post has step-by-step photographs also. My grandmother, from Cty Cork, made these all the time – and I do too. Sooo good with a nice poached egg popped on the top in the morning! A difference in hers was not using flour at all. I take left over mashed potatoes – cold out of the fridge – and form them into free form patties. Brown s l o w l y in butter until there is a good crispy crust on both sides. I like the idea of adding chives to the mix – and would probably used dried chives, mix them in the left overs before putting them in the fridge so they would reconstitute over night. mmmmm . Will try your version too. Always open to new stuff!! Stephanie – I love your idea of serving these potato cakes with a poached egg perched on top. HP sauce ( an Irish brown sauce) instead of hollandaise and you have the Irish version of Eggs Benedict. Thanks so much for checking out my recipe and for your great tips. Sorry, HP sauce is English. Invented by a grocer from Nottingham. H P stands for Houses of Parliament. my mom has always used celery salt in place of regular and sprinkles the pepper on top after placing them in the skillet. It is a fight over them when I come home. Tiphany – What a great tip from your mother. I am really enjoying everyone’s suggestions for these little potato cakes. I truly think the possibilities for different seasonings are endless. Thanks so much for your comment. Mmmmmm. Can’t wait to try these! They are simple but oh so good, Grammy. Mairead, these look so good. That’s interesting that Irish potatoes are a bit different from what we have here in the U.S.
Cheryl – There are many kinds of potatoes in Ireland, all with names never heard of here in America. There are golden wonders, Kerr’s pinks, Prince Edwards and varieties named after so many English royals it’s mind-boggling. I was surprised when I first came to America and there were so few choices. We normally don’t have many potatoes, so I’ll have to specifically get some to mash up! I was going to ask if whole wheat would work as well as white (I would assume it would- just might change the taste a bit) but I think I’d probably try them without flour first. Aimee – Unlike you we normally have a lot of potatoes – it’s just what we grew up on. Whole wheat flour will change the taste of the potato cakes a little and the texture, but you really don’t need a lot of flour. They will turn out pretty good with just potatoes. Remember to decrease the amount of egg if you don’t use flour – not as much binding needed without flour. Growing up we had them quite a bit, but something happened after having kids and I just can’t handle them anymore. I think it’s related to the high amounts of starch though and now that I know how to release that I’m ok again. I just have to remember to buy them more often! Thanks for the tip on the egg- I’m not sure I would have thought of that! Aimee – My father has to have potatoes with every dinner. He even puts potato on the side with lasagna – something only an Irishman would do. That is funny! Definitely isn’t anything you see on a regular basis here in America! Tom – It’s good to know that a dinner is still not a dinner without a spud for some Irish people. Mairead- these were wonderful!! We used gold yukons, which weren’t the best choice, so I had to add quite a bit of flour until they firmed up a bit. But they were delicious and my kids in particular loved them! Aimee – These really are simple and delicious. You will find that every variety of potato requires a different amount of flour for binding. 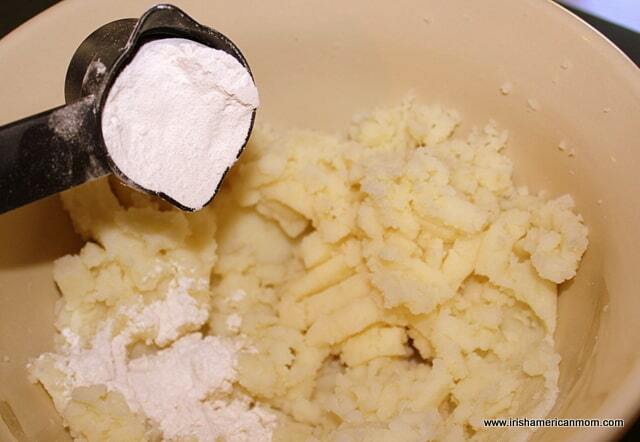 The amount of flour sometimes varies from day to day even when using the same kind of potato. I no longer measure anything when making potato cakes. To quote my granny, it is a “fistful of this, and a fistful of that.” Anyway, so glad your little ones gave their seal of approval. That’s great to know! I’ll keep that in mind as we try these out with different potatoes. We enjoyed them with a roast, and it was nice to have something different to soak up the gravy/juices with. Our farmer’s market has tons of sweet potatoes right now…do you think these would work well in making potato cakes? Aimee – I think if you use sweet potatoes only you will need far too much flour to bind them. When you use too much flour the taste can overwhelm the potatoes. I would recommend using half regular potato mash and half sweet potato mash to get a better consistency. Let me know how they work out. I might even give this a try too. Thanks for the tips! If I think about it this weekend, I’ll grab some of both and give them a go! FADGE!!!! My grandmother used to make fadge for us! It’s one of my great memories of her, standing with with her apron hanging from her neck, serving us a plate of triangular shaped “fadge” with butter and jelly on the table. Even have a copy of her recipe written in her own handwriting. I’ve never been able to make it quite like I remember. Maureen – We love “fadge” in our house. 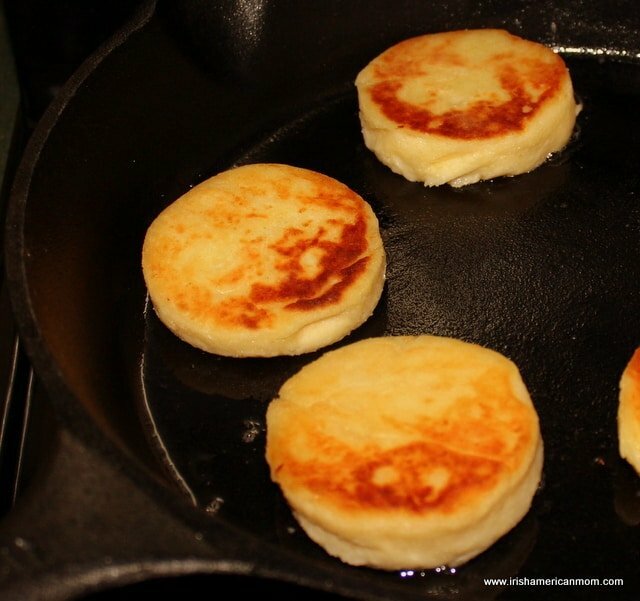 I call them potato cakes, but my husband says “fadge” being a Donegal man. You are so lucky to have your recipe written in your grandmother’s very own handwriting. That truly is a family treasure. I hope my recipe helps you recreate her fadge. She may not have cut out circular cakes, but instead patted her dough into one large circle, then cut it into eight triangles for frying. Thanks for stopping by and checking out my recipe. This touched a cord with me. I watched my grandmother and my auntie make Irish potato cakes, but they cooked the dough base( like yours) in the oven . They scored first , making it easier to cut into triangles. 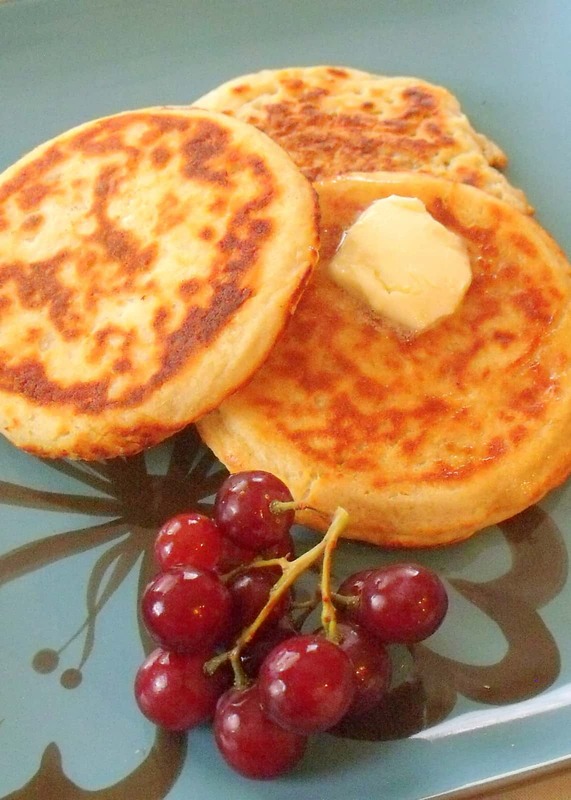 The ingredient that made them true Irish potato cakes was the addition of caraway seeds. They were served hot covered in butter. Yum…Any left overs were cut into chip like pieces and fried alongside bacon, eggs and black pudding . I used your recipe tonight,added the caraway seeds, but used gluten free flour and they turned out really well. Thank you for reminding me of a happy memory. Best wishes Noreen..Originally from Dublin. Noreen – I’m so glad your potato cakes brought back happy memories of your childhood. Caraway seeds would be a wonderful addition to this recipe, and really would add a taste of Ireland to these old favorites. I love your grandmother’s tip of using the left overs cut into chips to serve alongside a good Irish fry. 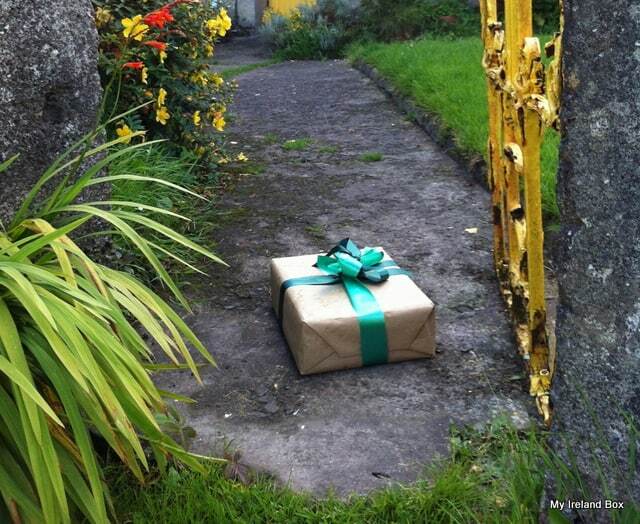 Best wishes, from one Dublin girl to another. Thank you thank you! Been trying to get the consistency right for cut outs and this is it. The photos are big and clear and really help, too. Out comes the shamrock cookie cutter! 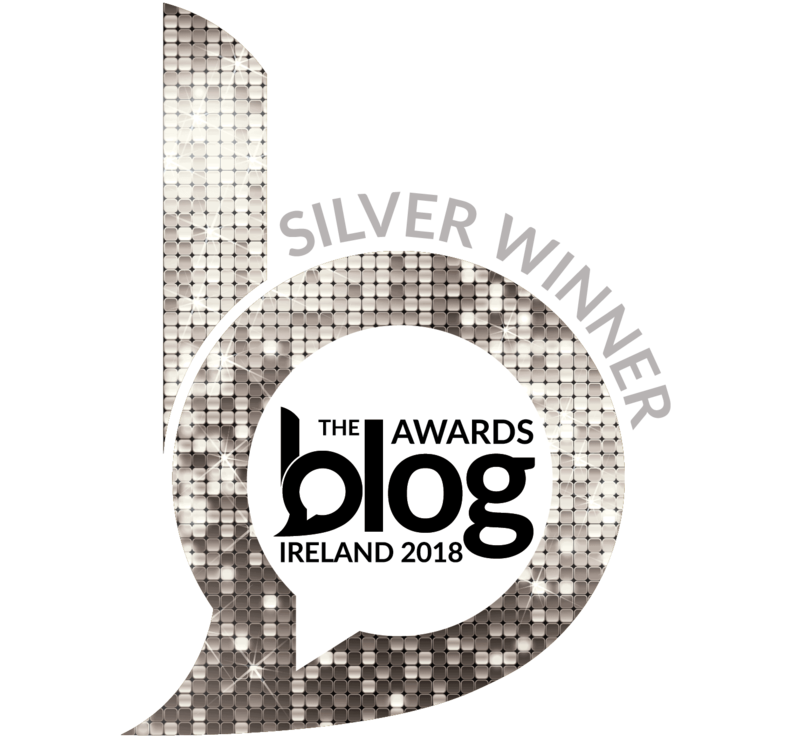 Eilis – So glad you found my recipe. It is perfect for using cookie cutters – just add the liquid gradually so you achieve the right doughy texture. Making shamrock potato cakes is a brilliant idea. Hi . Your recipe made me hungry! I took a look at my mother’s recipe for this . Every Sunday for tea, we had potato bread made with leftover mash from Sunday lunch. Her ingredients were potato, flour and salt. Nothing else – except hard work. After adding salt to the potato, she added flour gradually, kneading all the while as though making bread. I recall this taking some time, and she ended up with quite a stiff dough. She rolled this out with a rolling pin to about an inch or an inch and a half thick. She then cut it into triangles She barely greased a heavy iron frying pan and put the potato cakes in, turning them when they were cooked and brown on the underside,. The heat was not too high as they needed to be cooked through. When done, they were split in two and eaten hot with butter that melted and the whole thing was YUMMY! Also from Donegal and we called them potato cakes.! How can you live without balls of flour in your life? Angela – “Big balls of flour” proclaims a sign on the Strabane side of the bridge when traveling from Derry to Donegal through Lifford. We always laugh thinking what on earth do Americans think they are selling. Your memories of your mother’s potato cakes are so vivid – I felt I was transported back to her kitchen, waiting eagerly to see if they were ready. Hot with melted butter – there is nothing on earth quite like potato cakes. My husband & I have Irish blood in our families (although I’m not sure how far back we’d have to go to see it 🙂 & so I decided I wanted to learn to make foods from Ireland & the other countries our families represent! I am so excited to have found your blog! 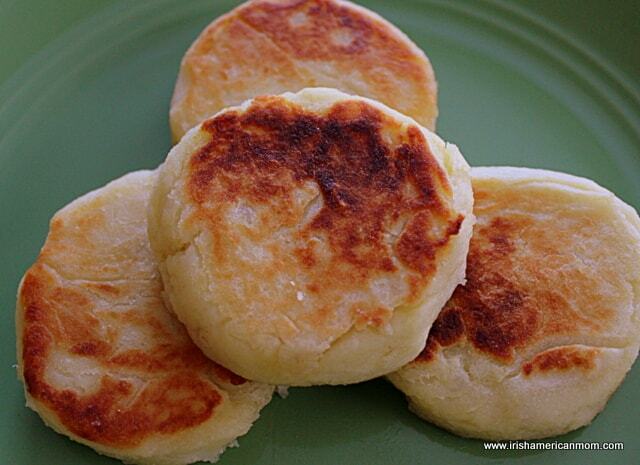 I made these Irish Potato Cakes last night & they were a hit! I only had sweet potatoes on hand, so I used those along with Mrs. Dash Onion & Herb, black pepper, coconut oil, brown rice flour & almond flour (to make them gluten & dairy free). OH. MY. GOODNESS!! These were DELISH & disappeared within seconds. When my picky husband inhales a new food & asks for more, I know that recipe is a keeper! Thank you for sharing these with us! Heather – Thanks for this great tip and feedback about your success using sweet potatoes for this recipe. I’ll definitely have to give these a go with some sweet potatoes. I’ve only ever used regular spuds, but now that I am an American I need to give the sweet taters a try. Thanks so much for stopping by and adding these great suggestions. as a child I enjoyed irish potatoe pie made at home [not mine but Marcys home her grandfather maked it it was a recipe that was passed down in the family [Irish of course] it had potatoes butter carroway seeds but thats all I remember and I love to make and eat it. Does anyone have such a recipe? Suzie – I have a recipe for a potato and onion cake, which I bake in the oven. Were there onions in Marcy’s grandfather’s recipe? I think my recipe might be what you are looking for. I’ll dig my recipe out of the pile and give it a try soon. I’ll post it if it is a success. I haven’t made it in years, since my husband is not a fan of onions. I especially like to bake a few extra potatoes and use them in this recipe – the baking really brings out the potato flavor. I am making several loaves of brown bread, using your recipe, to give to friends later this week. Thank you for sharing! We really enjoy your recipes. Kelly – Thanks for your great tip of using baked potatoes for this recipe. I bet it really heightens the potato flavor. I use baked sweet potatoes for my sweet potato casserole at Thanksgiving time, but never thought to use a baked potato for this recipe. I’m going to make potato bread later this week, so I might try using a baked potato in it. So glad you found my site and that you enjoy my recipes. I think your best bet is to look for a Russet Burbank potato – one that would be considered floury. Hope this helps and that your potato cakes turn out well. Hope you enjoy them, Maureen. My husband and I have retired from the UK to Spain. I love your recipe, Can you please tell me if they are suitable for freezing? Sheila – You can freeze these potato cakes in small batches, in a plastic bag with as much air as possible removed. They might taste a little different and their texture is not as good as when they are freshly made. I never freeze mashed potatoes since their texture changes with freezing. I think these cakes don’t freeze perfectly because they are composed of so much potato. Hope this helps. 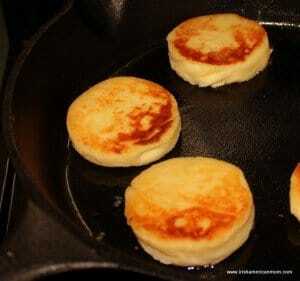 I first tasted potato cakes as a young soldier serving in northern Ireland during the early 70’s. They were made for us by a lovely old irish lady who took pity on us when we patrolled her area in south Armagh god bless her. She even wrote out the recipe for me. I now make them for my own grandkids and they love them. Something good from a dark time. Den – What a lovely story. God bless the little old lady who brightened your days with her potato cakes. I’m so glad your grandchildren love this little taste of Ireland too. This was wonderful! Perfect way to start the day with some sausage and eggs. My son especially loved them. Tara – I’m so glad you enjoyed these potato cakes. They’re great for breakfast, lunch, or dinner. I made these for the first time and they were delicious! Thank you for sharing! So glad you enjoyed them. Thanks for stopping by. This sounds absolutely delicious. Thanks so much for sharing your wonderful recipe. Thank you for a very well presented post ! I’m looking for inspiration for my 2yr old, as he has gone off his dinners and refuses anything I give him.Has no problem with Nana’s biscuits though ! He likes scones so hopefully these will do the trick and I plan to add to them, as he progresses. I will let you know,many thanks Mairead. 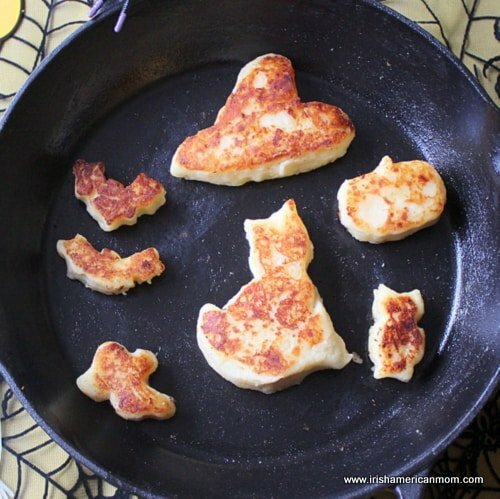 Hi Caroline – I hope your little boy likes these potato cakes. I sometimes use cookie cutters in different shapes to make them extra appealing. I only do that on special occasions though because I think if I do it every time I might only be encouraging my kids to play with their food. We make potato cakes by mashing potatoes,mash in margarine,add flour and baking powder,form into cakes and bake,serve with home made jam. They sound delicious, William. Jam and potato cakes – just lovely. I’ve always loved these, my version uses chopped scallions (green onions) and regular salt in place of the onion salt, otherwise I make them the same. The tip about putting a towel over the pan and letting them steam is new to me but I plan to try it; I also have a hard time getting the spuds dry enough for a dough without overuse of flour, since most American varieties aren’t “flourey” enough so I’ll be glad to see if this trick helps. Hi Phoebe – “Flourey” spuds just don’t exist in America. When we travel to Letterkenny from Dublin we pass through Strabane and Lifford. There’s a sign by the bridge advertising “big balls of flour” for sale. I wonder if tourists are perplexed by the sign, having no idea they’re actually selling spuds. Haha I’ve seen that sign myself Mairéad! My mam and brother and I used to go over to Donegal from Derry and he always had to make some smart remark about it. Now I wish I’d have taken a picture of it. Hi Phoebe – I’ve used the big potatoes which are sold as “baking potatoes” for a flourier spud. Russets are only alright, but sometimes they’re the best I can find in America. I do avoid adding too much milk or butter when mashing them, because they’ll just be too oily for a potato cake. My husband actually took a photo of that sign once. It was raining so hard the camera lens got covered in rain drops. I must see if I can find that shot in my files again. All this talk about potato cakes has made me hungry for some…I believe I’ll make some tomorrow! Have to go to the shops then anyway so I’ll pick up some baking spuds and scallions for supper. My hubby likes them too, although he tends to put Mexican hot sauce on most everything he eats! Also want to bake some soda bread; I like to put raisins in mine but only the light or golden kind. I ran out and couldn’t find them in the shops for a while but just located some the other day. Another thing I often can’t get is self-raising flour though I know it’s sold here; not all stores stock it. My soda bread and scones sometimes come out hard if the flour isn’t right for them. Hi Phoebe – I hope you enjoyed your potato cakes. Believe it or not, my Donegal husband adds a dash of hot sauce to his potato cakes too. Ever since we lived in Dallas, he’s been adding hot sauce to my Irish cooking. My poor taste buds can’t quite take it, but he just loves it. I hear your frustration over buying flour in America which guarantees baking success. I’ve produced some scones here which could be used as hockey pucks. I use cake flour when making scones with eggs and regular milk. When making them with baking soda and buttermilk I try to buy White Lily flour. It’s made with softer southern wheat, which is closer in texture to Irish flour. Most American wheat is grown in northern states like Illinois and Indiana. The colder temperatures require a different, hardier wheat, and the flour has more protein than Irish flour. If you can find White Lily flour from wheat grown in Tennessee you should have better results. Hope this helps. Mairéad, you made me laugh out loud. I’ve made many of those “hockey puck” scones; good to know I’m not the only one! I’ve also been through the flour trials before; I have heard about White Lily and also Martha White southern flours but have not been able to find them here–I live in Chicago–and I’ve even asked the managers of several stores if they could order it but no luck. The closest thing I can find is San Antonio brand flour that comes from Mexico. But that may be a bit TOO far south, because I have not had very good luck with it either. You gave me an idea though, I will see if I can find cake flour and make them the way you mentioned. Might you publish your recipe? Also I was wondering if we are able to add photos here in this column. I just came across one I just have to share. Go raibh mile mairh agat for your scone recipes Mairéad, can’t wait to try them. I finally made the potato cakes today. I used Idaho baking potatoes and did that trick of letting them steam under a towel for a bit. I didn’t add any milk or butter to the mash, just scallions, salt and an egg. For buttery flavor I put just a bit of butter on top of each one at the table. They tasted really good! Oh, I posted that photo on your FB also; I think you’ll get a chuckle from it. Hi I loved reading all your potato cake recipes.I recently made some mini ones from left over mash potato.I didnt add flour or egg i just cut out mini circles with an egg cup dipped them in beaten egg and then in bread crumbs and fried them in the pan. Hi Debbie – I love how you coated your potato cakes in bread crumbs before frying. They sound delicious. Thanks so much for stopping by to add your potato cake recipe tip for other readers. Best wishes, and thanks for checking out my recipes and ramblings. Ok, made this this morning for a late breakfast for the family (kids had the day off from school). These were fantastic, and I’m adding them to the rotation when we make mashed potatoes. Thank you! Can i freeze them? trying to prepare for baby coming and was thinking of freezing them in batches to have as snacks :/ any ideas or not idea? Hi Louise – Potatoes do not last very long in the freezer – two month max. They won’t be quite as nice as they are when eaten freshly cooked. I recommend flash freezing these potato cakes. Place them on parchment paper on a metal baking tray and freeze them on the tray. This way they won’t stick together like they would if you placed them all together in a bag to freeze. After they are frozen on the tray, then place them in a freezer bag for storing. When you are reheating them, I do not recommend the microwave. They get mushy. It’s best to reheat them in the oven. I hope this helps. All the best, and thanks so much for checking out my recipe. These look delicious! I’ve tried making these before— we call them potato pancakes— but they never turn out very well. Perhaps it’s the potatoes. Thank you for sharing! 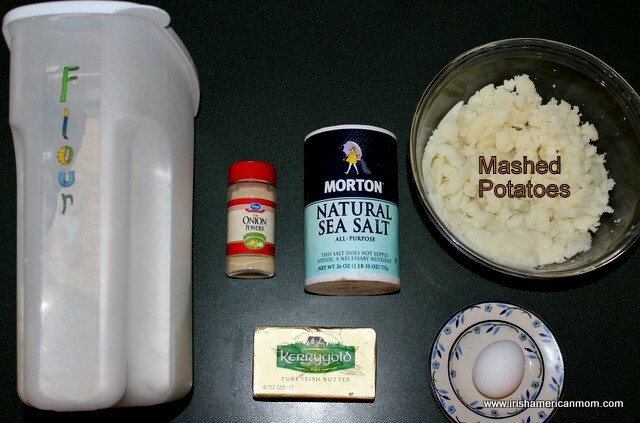 Hi Sorilea – Keep your mashed potatoes as dry as possible for potato cakes. When there is too much milk and butter in them they don’t hold together well for potato cakes. Can I freeze these, once prepped, before frying? Hi Jennie – You can freeze them before frying, but try to flash freeze them. Lay them on a metal baking tray so that they are not touching and then put them into the freezer for a few hours to freeze. Once they have become solid you can transfer them to a freezer bag. This decreases the risk of them sticking together when freezing. Mashed potato only lasts a month or two in the freezer so don’t leave them there too long. I hope this helps. This recipe so reminds me of my Aunty Mary. I loved her potatoe cakes! She made the best Irish soda bread aswell!! !